A Strengthening rupee and increased foreign fund inflows into the equity markets buoyed India\'s foreign exchange (Forex) kitty by $458 million, experts said on Saturday. 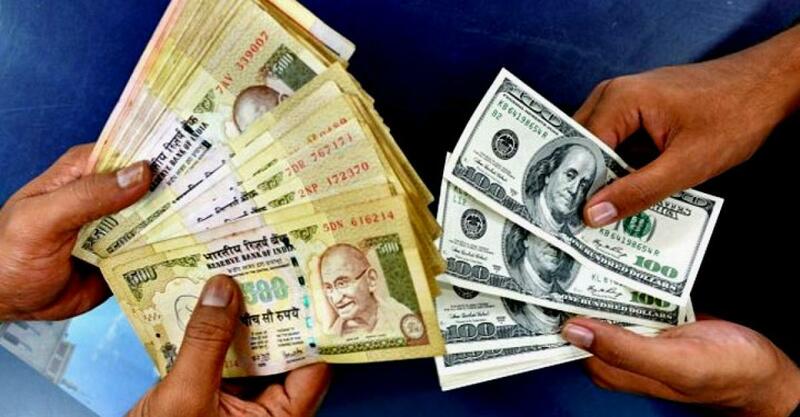 Mumbai: A Strengthening rupee and increased foreign fund inflows into the equity markets buoyed India's foreign exchange (Forex) kitty by $458 million, experts said on Saturday. Overall, the Forex reserves stood at $353.52 billion for the week ended October 16. "The Reserve Bank of India (RBI) continues to buy US dollars to prevent rupee from causing further damage to our exports," Anindya Banerjee, associate vice president for currency derivatives with Kotak Securities, said. On a weekly basis, the rupee had fallen by eight paise and closed at 64.82 to a US dollar during the week ended October 16. The rupee had closed at 64.74 to a greenback in the week ended October 9. India's Forex kitty had swelled by $2.26 billion to $353.06 billion in the week ended October 9. Furthermore, the data furnished by the RBI in its weekly statistical supplement showed that the foreign currency assets (FCAs) had gained by $452.5 million to $329.97 billion in the week under review. The FCA constitutes the largest component of India's Forex reserves. It consists of US dollars, major non-dollar currencies, securities and bonds bought abroad. Besides, currency movements, increased inflows into the equity markets supported the Forex's upwards trajectory. The foreign institutional investors (FIIs) were net buyers in the Indian equity markets in the week ended October16. According to data with stock exchanges, the FIIs picked up stocks worth Rs.1,250.92 crore. During the weekly trade ended October 16, the barometer 30-scrip sensitive index (S&P Sensex) of the Bombay Stock Exchange (BSE), rose 135.09 points or 0.49 percent to 27,214.50 points. The wider 50-scrip Nifty of the National Stock Exchange (NSE) too made gains during the weekly trade ended October 16. It rose 48.45 points or 0.59 percent to 8,238.15 points. The country's gold reserves remained stagnant at $18.15 billion during the week under review. The country's gold reserves had risen by $116.5 million to $18.15 billion during the week ended October 2. The special drawing rights (SDRs) in the week under review were higher by $4.2 million at $4.08 billion. The country's reserve position with the International Monetary Fund (IMF) inched up by $1.3 million to $1.32 billion.